Carl Fakeley has been a class 5 driving instructor and class 6 motorcycle instructor since 2013. 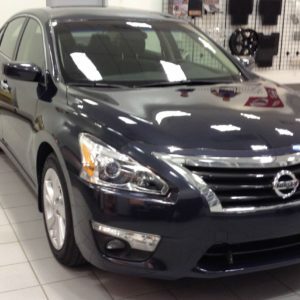 He was professionally trained as an in-car driving instructor by the Alberta Motor Association. As well, Carl has 17 years of classroom teaching experience and is currently a teacher at St. Joseph High School in Red Deer. This vast teaching experience has given Carl the skills and ability to recognize how each student learns and the best ways to teach. Growing up on a farm, driving at every opportunity, Carl knows of the excited anticipation young people experience as they prepare to get their driver’s licenses which he passed on the day he turned 16. The feeling of freedom and independence is almost overwhelming. Sadly, for many young people, this freedom and independence has led to injury and death. Carl believes that there is far more to driver education than simply preparation for the road test. By the end of the course the students will be prepared for a wide variety of driving conditions and circumstances. The greatest goal is to give students the foundational skills required to minimize the risk to themselves and to others. The driver training car is a fully equipped 2014 Nissan Altima. 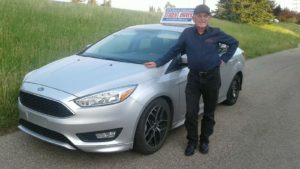 Kieran has been a Driving Instructor for 16 years in Red Deer. He has taught a variety of classroom courses to novices and adults. Driver Education is one of his passions because he believes driving properly is one of life’s most important skills. He is also passionate about hockey, playing his guitars and singing. He likes Classic Rock, Classical music and Jazz. 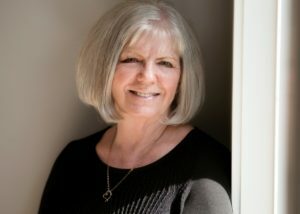 He loves his wife Sharon-Eve, whom he has known for 40 years. He also has a cat, Isobel, and a dog Jozie.